Your Chance To Win Tickets For A YEAR! Listen each weekday morning and afternoon for a chance to win tickets to a Z Rock show, and when you win, you get entered to win the ULTIMATE PRIZE… Tickets for a YEAR! 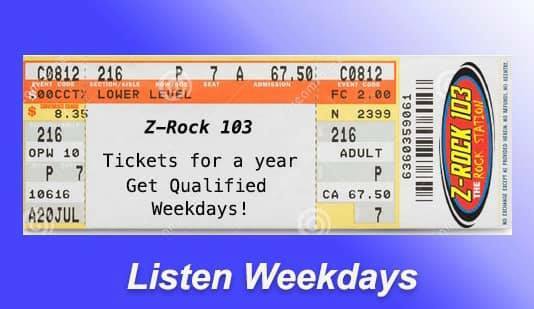 The only way to get qualified is to win tickets on Z Rock, so keep listening, and good luck!